I discovered this site/application/plugin today. 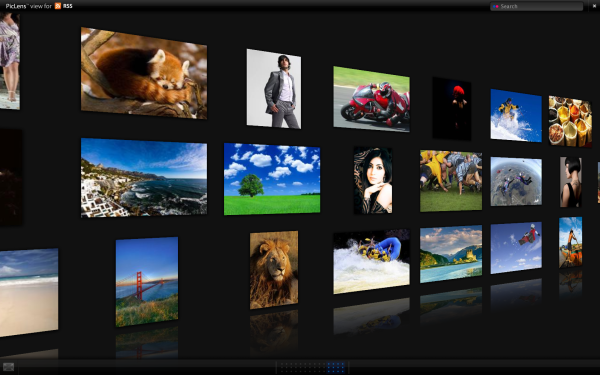 It’s called Piclens and it allows you to view the media (Pictures, audio, video) on a webpage in a cool 3D full-screen view. It works on a number of ‘big’ sites like Facebook, Google images and YouTube. It even plays the video/audio within the view so you can look at youtube videos with ease! It seems to be very cool, but time will tell whether it has a real use or just something to go “WOW!” at when you show people.